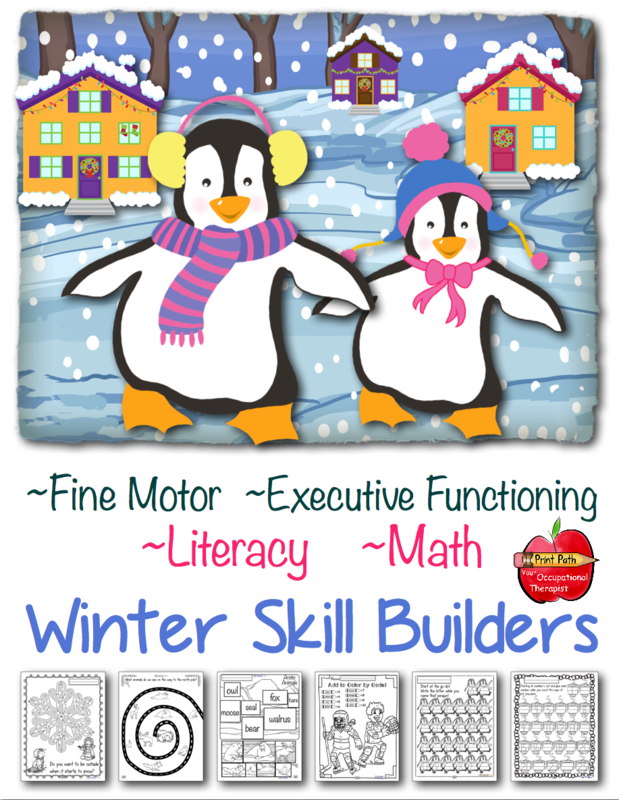 ◦ Build fundamental fine motor and executive functioning skills for kindergarten-age kids. 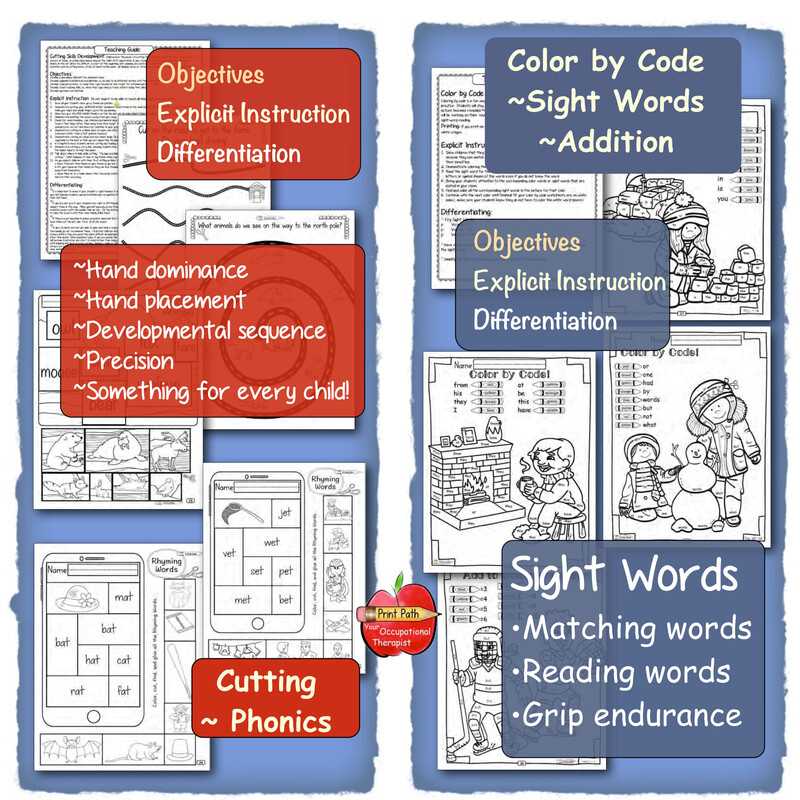 ◦ Target specific CCSS literacy and math skills in ways that interest and engage even the most reluctant children. 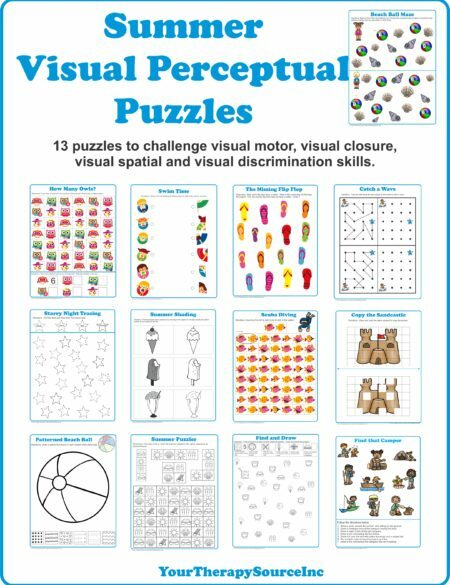 ◦ Provide differentiated yet equivalent materials so you can easily provide the just-right level of difficulty and challenge for a group with diverse skills. ■ Teacher’s Guide for each of the six units. ■ Occupational Therapy tips and tricks for explicit instruction, developmental sequence, and breaking tasks into their smallest steps so all children can learn. 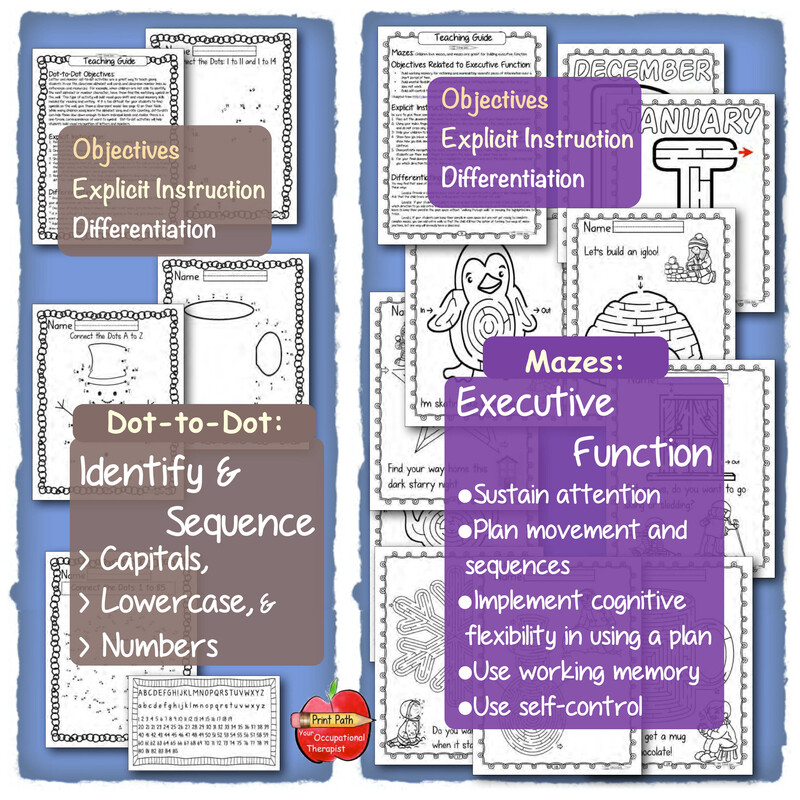 ■ Specific differentiation tools and support. 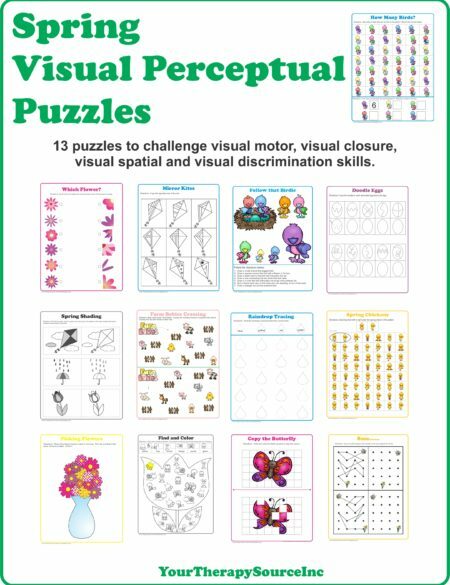 ■ Specific objectives for fine motor, visual motor, and executive function skill development. ■ Detailed table of contents so you can easily find what you need at a moment’s notice. 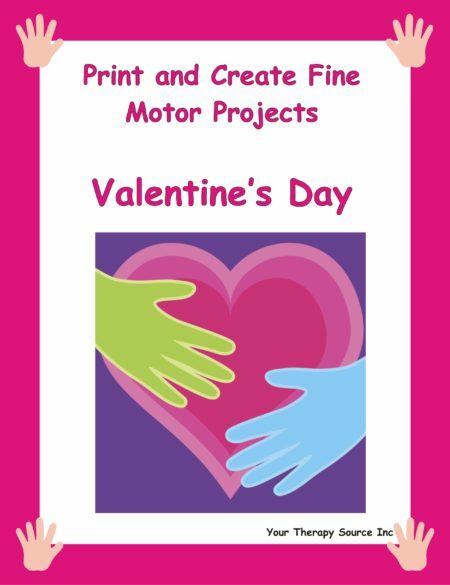 DOWNLOAD THREE FREE SAMPLE PAGES HERE. 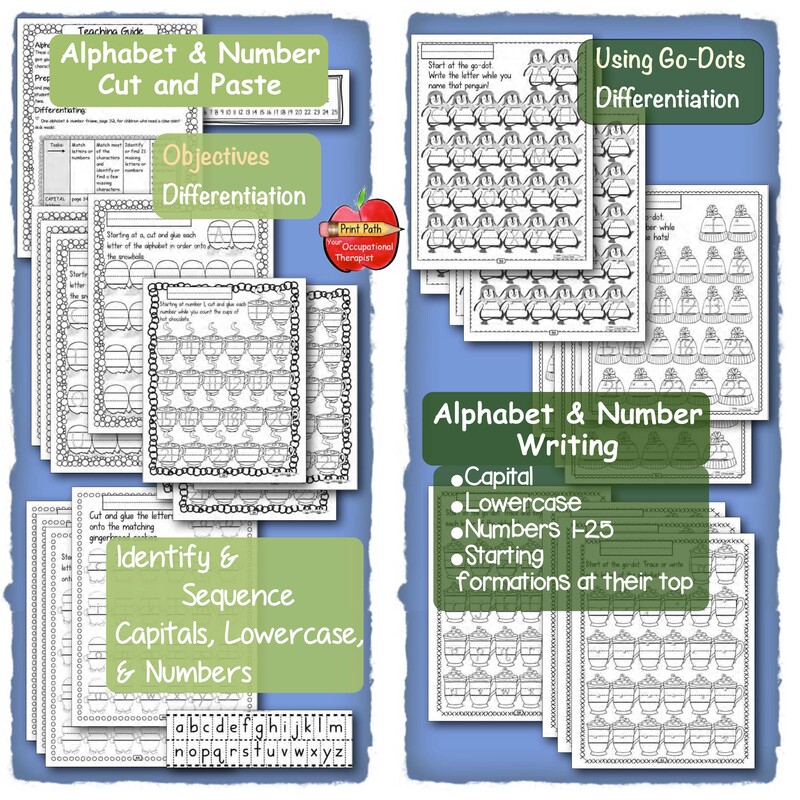 ☞ Matching, identifying, and labeling capital and lowercase letters. ☞ Left to right sequencing with gaze shift to the next row. ☞ Identifying initial sound of CVC words. ☞ Writing capital and lowercase letters, using go-dots to support starting at the top, an essential aspect of conventional letter formation. Matching, identifying, and labeling numbers: 1-11, 1-14, 1-85. Writing numbers 1-25, with go-dots to support starting at the top. Adding 2 numbers up to 10. ☞ Develop both a dominant hand and a helper/ stabilizing hand. ☞ Coordinate both sides of the body. ☞ Use eye muscles to track lines. ☞ Use eyes to efficiently shift gaze between objects (two or more places). ☞ Coordinate vision and movement. ☞ Perceive shape and space by vision. ☞ Build hand strength adequate to maintain a pencil grasp, to push, and to adjust the necessary force. ☞ Use both proprioceptive and kinesthetic feedback to adjust and correct pressure and movement. * Love this! Thanks for the instructions that are so explicit. It helps to know WHY you are teaching what you are teaching. 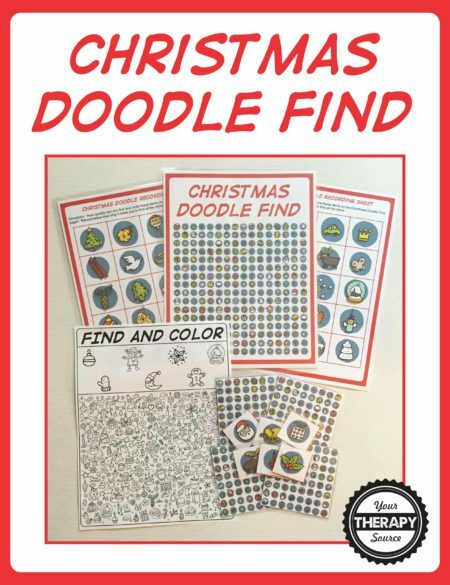 * This has been a great help for fine motor skills! * This compilation of worksheets is my favorite. Not only does it provide you with the actual worksheets, but explanations on the particular activities objectives. * I plan on using some of this information included in my goals at school. This is just great! Thank you!